Did you know that bichon frises were all the rage with French aristocracy back in the day? The famous Spanish painter Francisco de Goya even included them in his paintings. You’re probably asking yourself what’s the fuss all about. 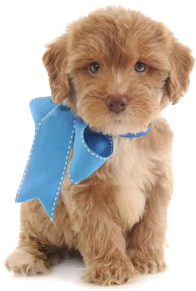 Well, besides their unbearable cuteness, they’re hypoallergenic and low shedding. Now before you jump out of your chair and rush to get your very own bichon frise, please note that there’s no such thing as a totally non-allergenic dog. 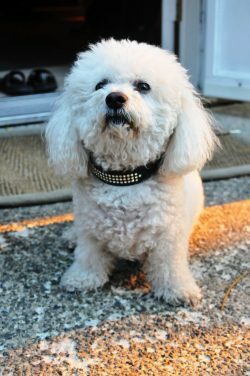 But you can count on the bichon frise to be on the list of breeds that do well with people who suffer from allergies. Of course, this attribute goes hand in hand with grooming. Frequently trimming, brushing and bathing your pooch removes hair and dander and controls the other equally potent allergen, saliva. Trimming and bathing your bichon frise should at least once a month, but you have to brush him daily or at least two or three times a week. Most owners swear that their bichon doesn’t shed hair. They do but because the shed hair is caught up in the undercoat, they appear not to shed at all. That shed hair has to be brushed out to prevent mats from forming.